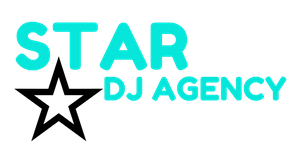 We were pleased that DJ Desire was booked by our friends DTP events to be the DJ for a great organization called Girl Power starts with STEM (GPS). GPS is a unique opportunity for girls to gain hands on experience and learn about careers related to 1. Science 2. Technology 3. Egineering and 4.Math. The Colorado Petroleum Council hosted the event and more than 170, 6th through 11th grade young women in a half-day of hands on, interactive Science, Technology, Engineering, and Math activities. The top girls were rewarded with Ipads, Beats by Dr Dre headphones, a telescope and Itune giftcards. It was a fun and rewarding event and we were greatful to have our own DJ Desire be the entertainment for the day. We hope to work with STEM again in the near future.